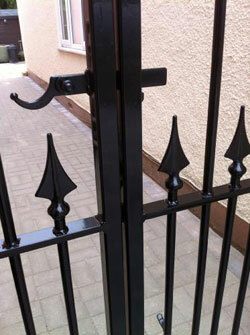 At Regency Ironwork we provide a wide variety of railings and fencing and balcony balustrade. We carry a large range of rail heads, baskets, rosettes and decorative designs for you to choose from. 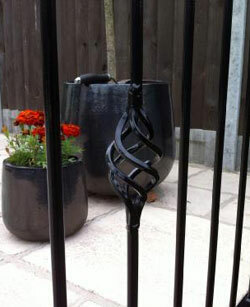 We supply full height or wall top railing and can recommend local builders and landscapers. We can manufacture and adapt to your personal requirements, whether it be supply only or supply and install. All of our work is guaranteed and we carry full public liability insurance. Please call us today for a friendly competitive quote.